Hey everyone! Long time no blog! It's been a crazy summer filled with a kitchen renovation, two beach vacations, pool fun, neighborhood get togethers, my big guy turning nine, football practices galore, a broken nose by the little one, and tons and tons of memories. Hence my absence from blogging. You forgive me right? ;) My boys are still on summer break and don't return to school until September 9th. To be honest, at this point I am craving the routine and a chance to get back to the gym, crafting, and you guessed it blogging! Not too much longer now. 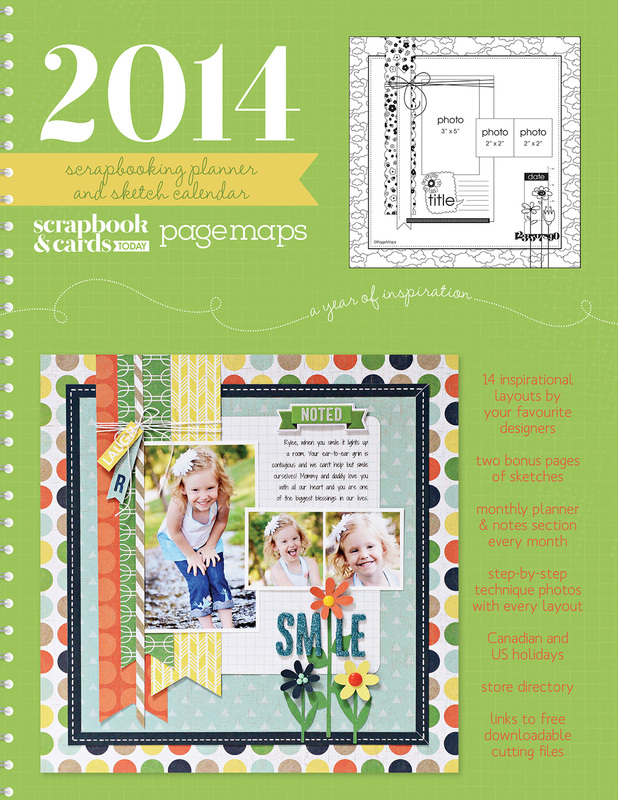 SCT’s new 2014 Scrapbooking Planner and Sketch Calendar is now portable, ready to go wherever you go! This 14-month, 64-page planner is coil bound, brimming with 30 page sketches, how-to photo techniques and layouts created by your favourite designers. Each month features a full page of journaling prompts, page starters, photo ideas and areas to jot down notes, memories and special moments, perfect for those who are following Project Life. At just $12.95 plus shipping, make this one-of-a-kind Planner a gift for you and all your scrappy friends! 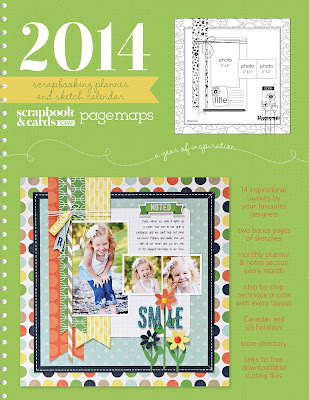 Preorders start October 15, 2013 at scrapbookandcards.com and begins shipping November 28th. I really hope you'll check out this planner as it is one of my favorite projects from Scrapbook & Cards Today magazine each year. Until then enjoy the rest of your summer! Thanks for stopping by! Welcome back! A lot of us are in the same boat as you are. I am looking forward to a bit cooler weather ( but not too cold), the last bit of our reno finished, and more time to scrap!